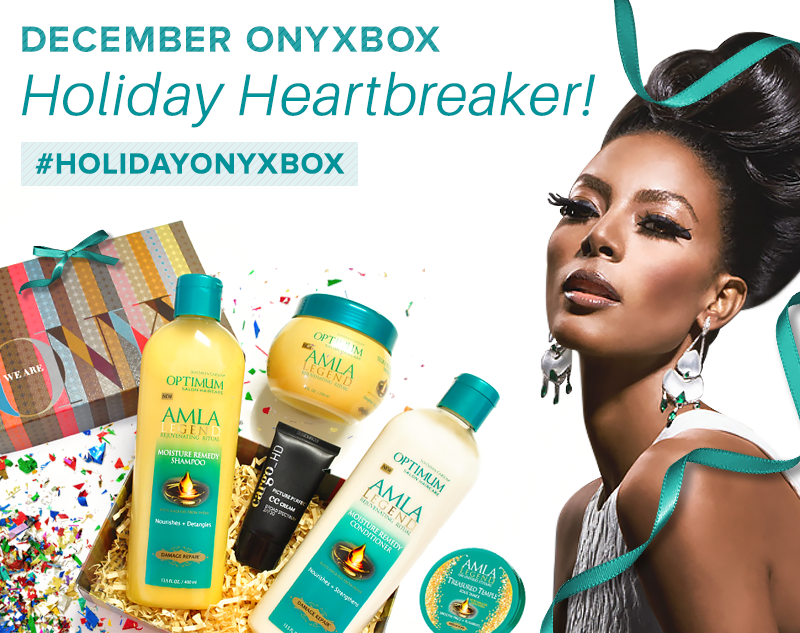 WeAreOnyx’s December beauty box is lit. Really, there’s no other way to explain it. The monthly Brown beauty subscription service is serving up hair and makeup goodness with ALMA Legend and Cargo cosmetics in it’s biggest beauty box this year. For only $25, you’ll get $60 worth of full-size products from ALMA Legend like their Moisture Remedy Shampoo and their Silky Blow-Out Masque. Cargo joins the chic box with its HD Picture Perfect CC Cream in Medium/Dark, giving all darker Beautifully Brown beauties a chance at having the perfect color correcting moisturizer. The December WeAreOnyx box is available until December 31st and is a perfect last minute gift for the beauty girl in your circle. Get yours while you can at WeAreOnyx.com.